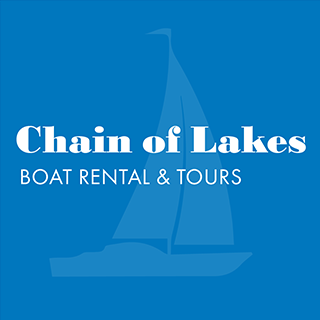 Captain Larry Chapel founded Chain of Lakes Boat Rental and Tours in 2005 to give people the joy of a day on the water without worrying about the upkeep of owning a boat. 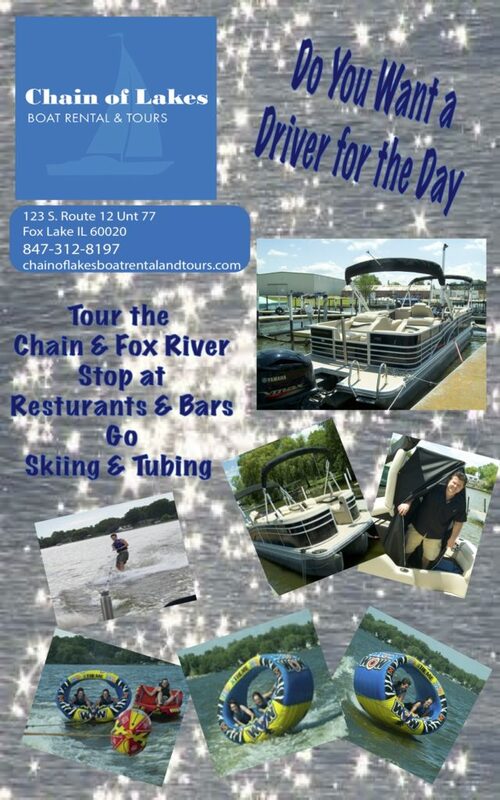 From the moment you cast off to the time you step back onto land ready for a meal at any one of Chain or Fox River fantastic restaurants, Captain Larry will take care of everything for you and your group. 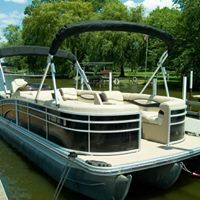 His 25′ luxury pontoon features an upgraded sound system, a full-size cover to beat the heat, and plenty of toys like knee boards, skis, and tubes. 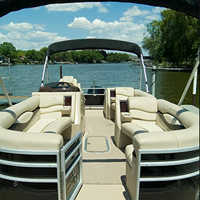 Next time you’re visiting the lake, book a trip with Captain Larry, sit back, and enjoy the ride! 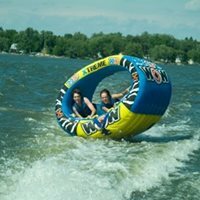 Captain Larry is a pro who makes a day on the lake not just fun but safe and full of fun extras The kids have loved the tubing everytime and water gun battles are a blast ! He knows the lakes like the back of his hand and everyone can just sit back and relax while Larry navigates th area Well worth the money we can’t wait till our next trip out with Larry ! Larry was excellent. We had a blast. 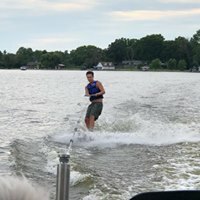 Very chill and relaxed day with a professional captain.